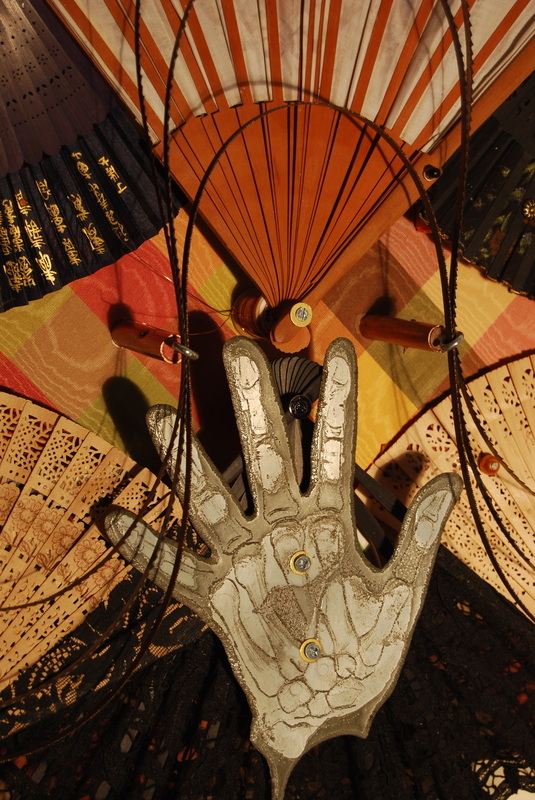 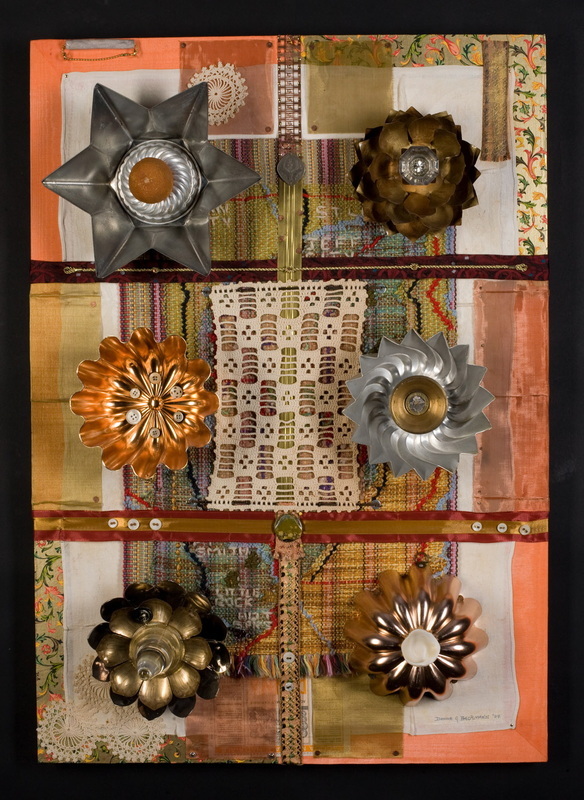 RE View: Mid-America's Visual Arts Publication, January 13, 2011, "Baroque Dance"
Take it from someone who's been there and seen that: You're going to want to allow some time to explore Donna Bachmann's art. 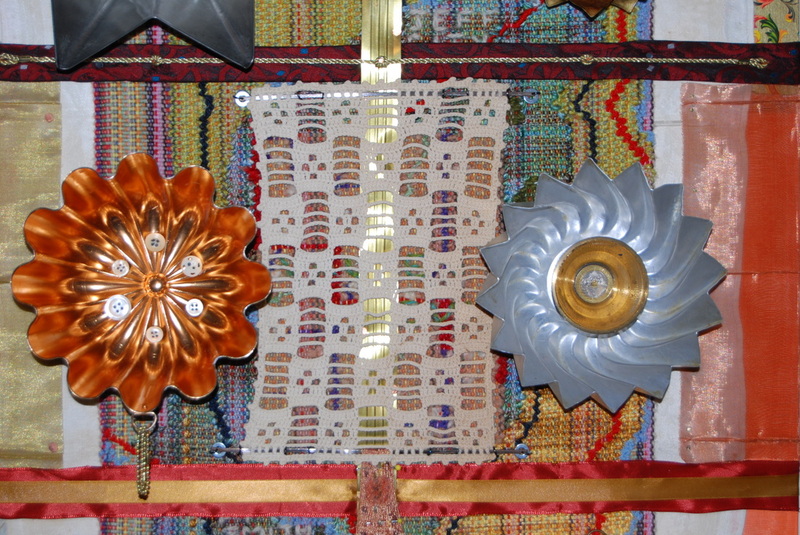 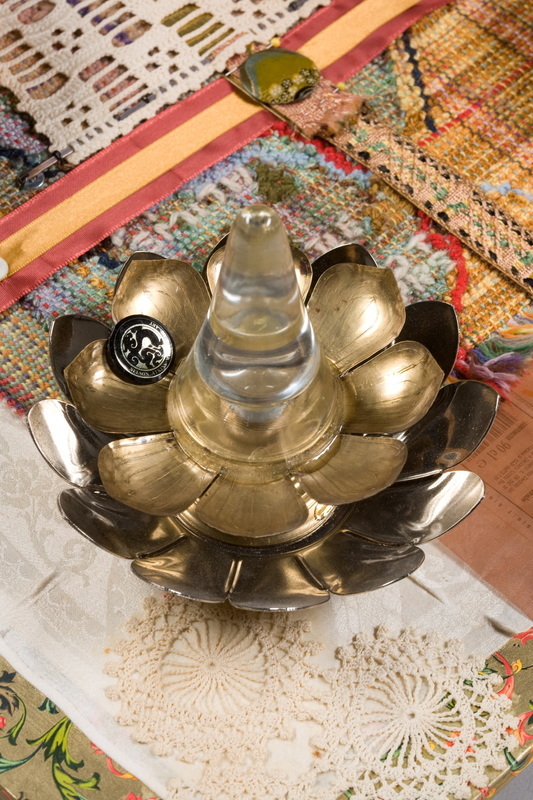 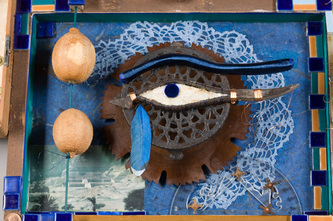 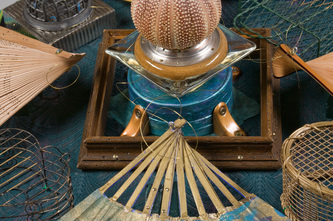 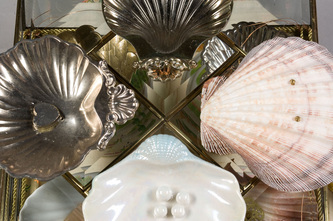 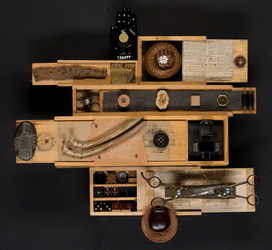 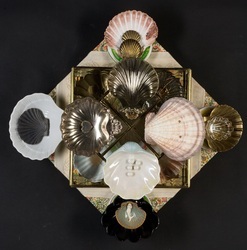 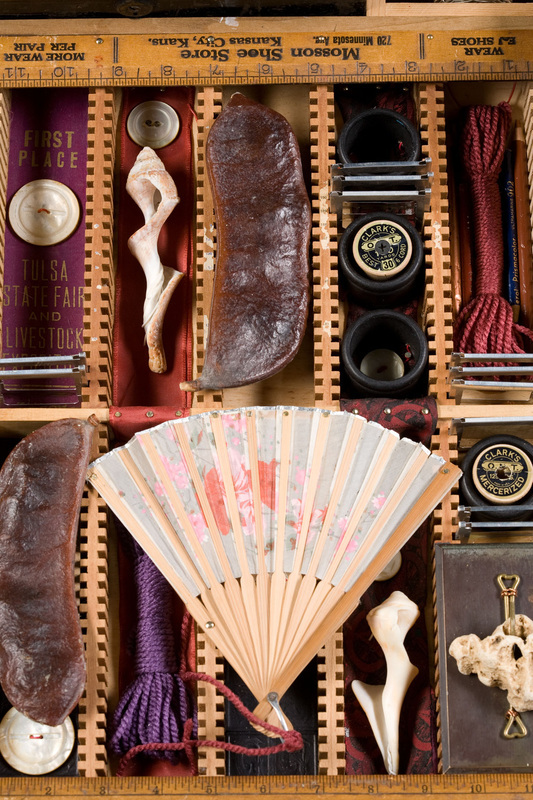 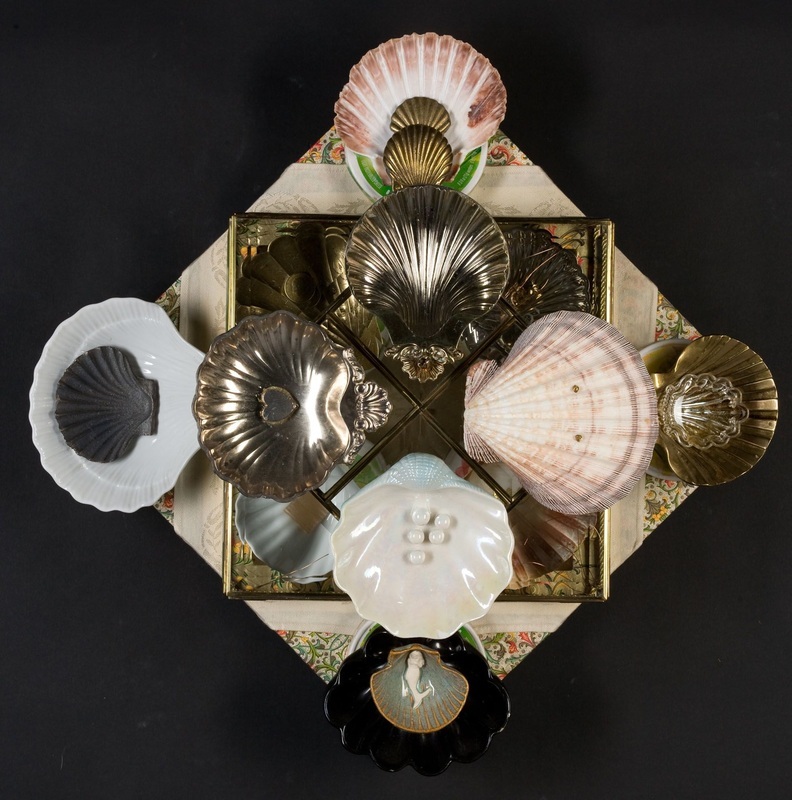 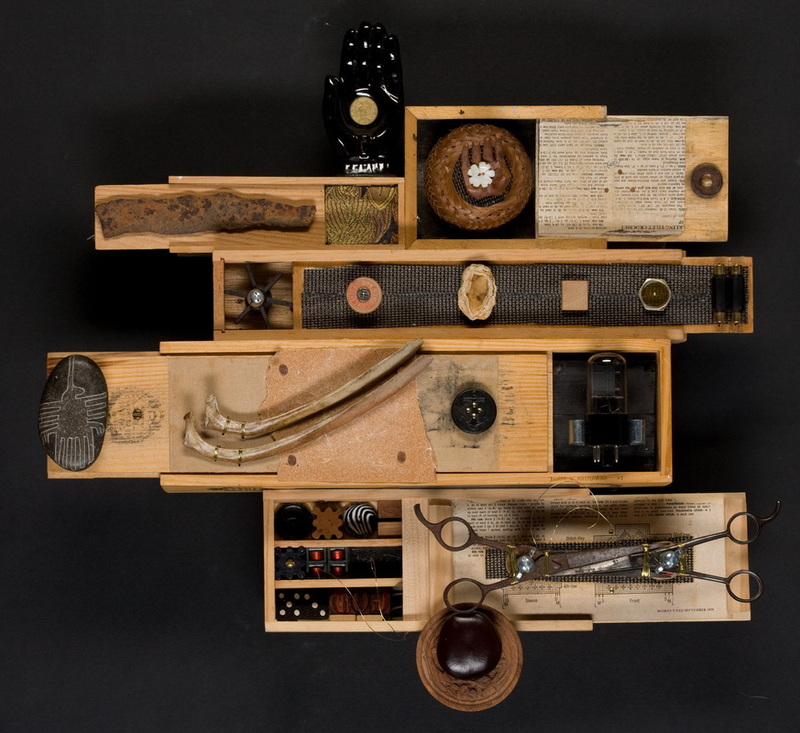 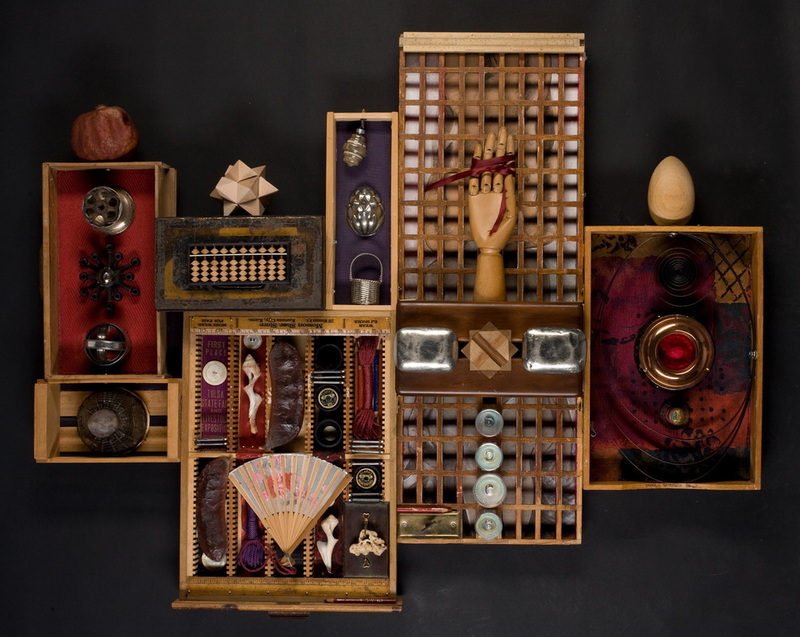 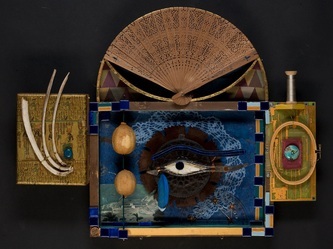 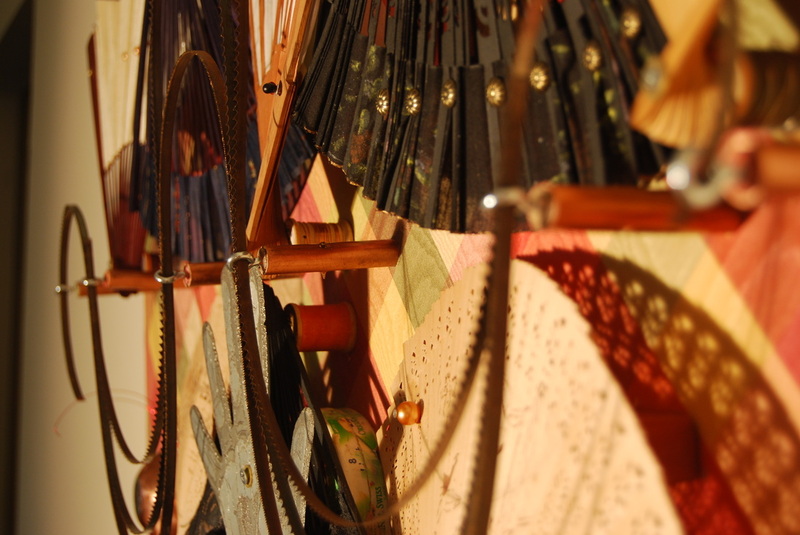 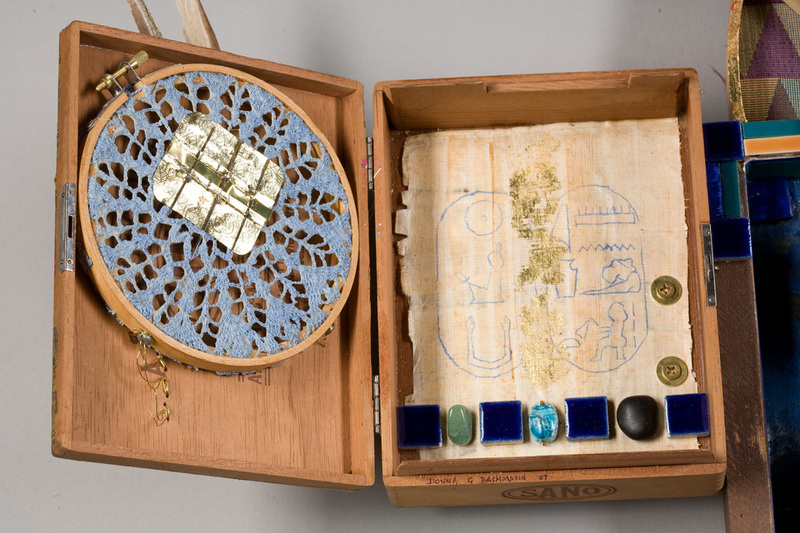 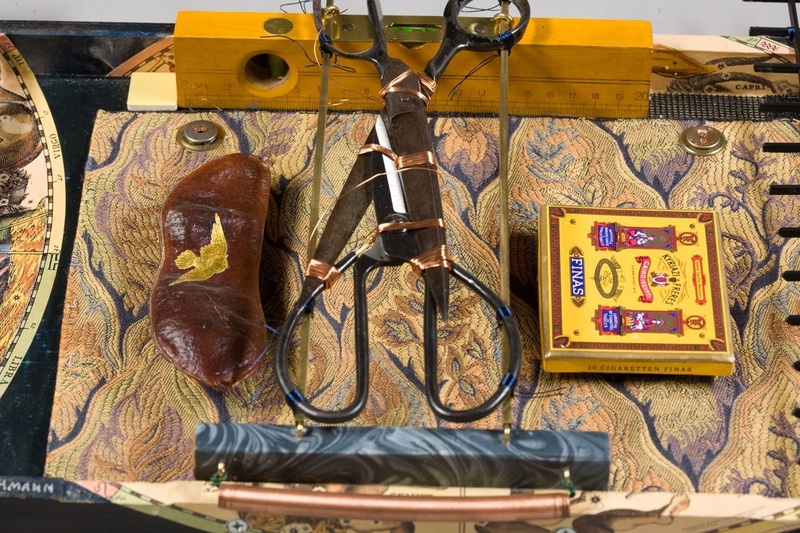 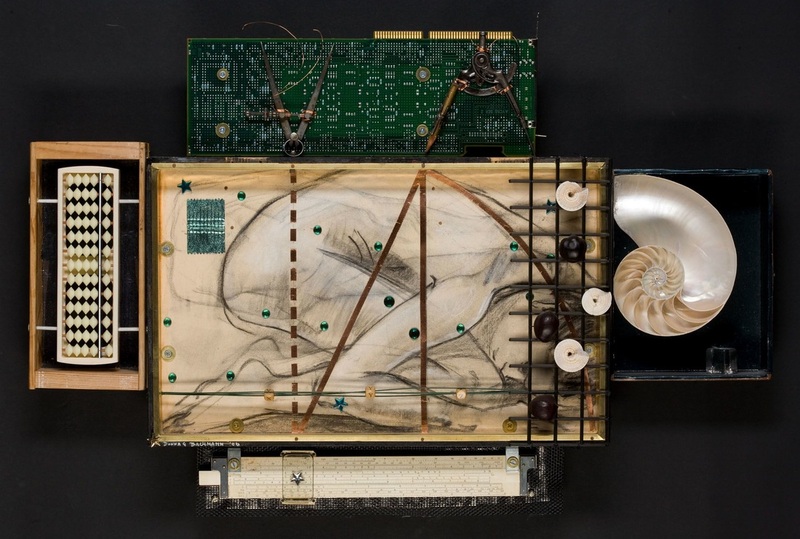 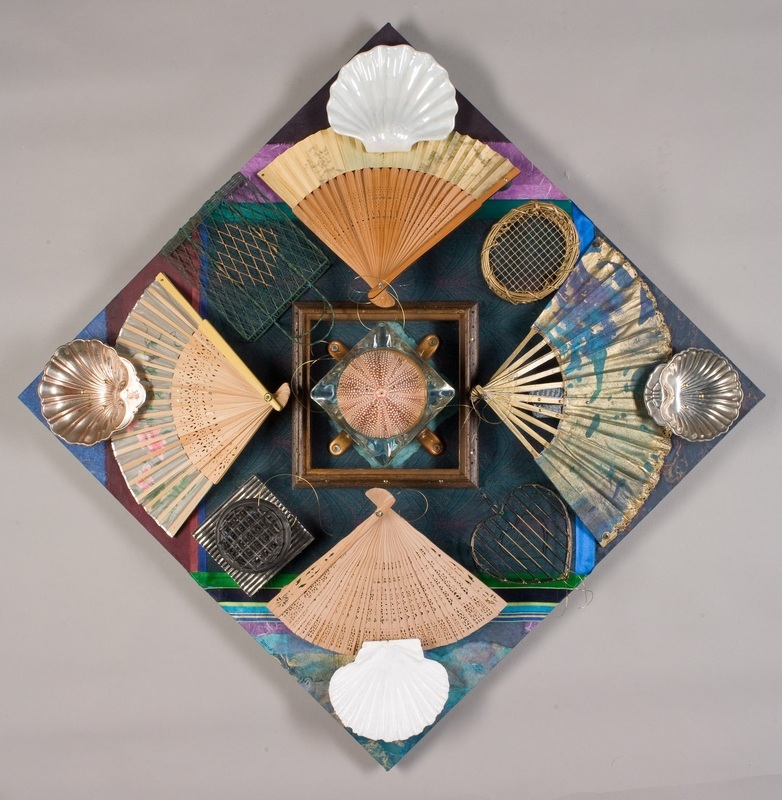 Bachmann's assemblages, now on display at the Johnson County Central Resource Library in Overland Park, KS, are intricate and (sometimes interactive), rewarding lengthy and repeated viewings with ongoing revelations of structure, shape and composition. 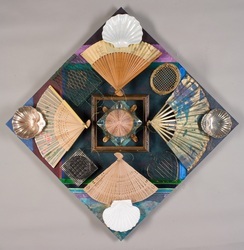 I first encountered Bachmann's work last year, in her Elegant Contrivances show at Kaw Valley Arts and Humanities in Kansas City, KS, and kept finding myself going around the gallery for "just one more look." But, just as with an intricate piece of period music (Vivaldi immediately comes to mind) , there's a cohesive sense of theme and purpose running throughout Bachmann's work. The longer you look, the more you see how everything ties together. The structure of Minuet, for example, suggests pairings for a dance, with the use of the hand motif accentuating the feeling of ritualized human interaction. 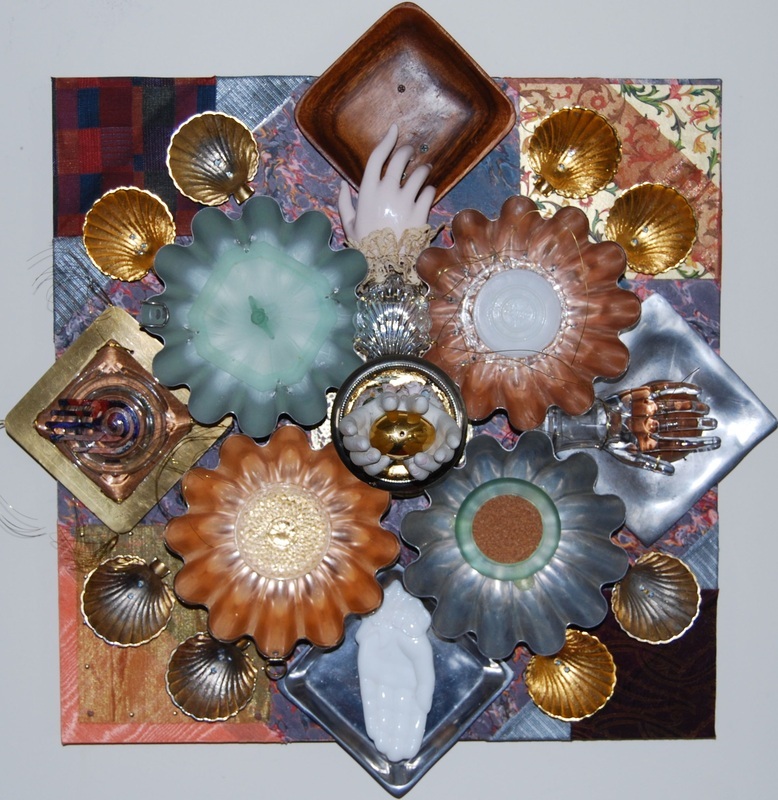 Then again, the more time you spend with Bachmann's work, the more possible interpretations will suggest themselves. It's as easy to get caught up in "reading" these pieces as in anything you'll find on the shelves. 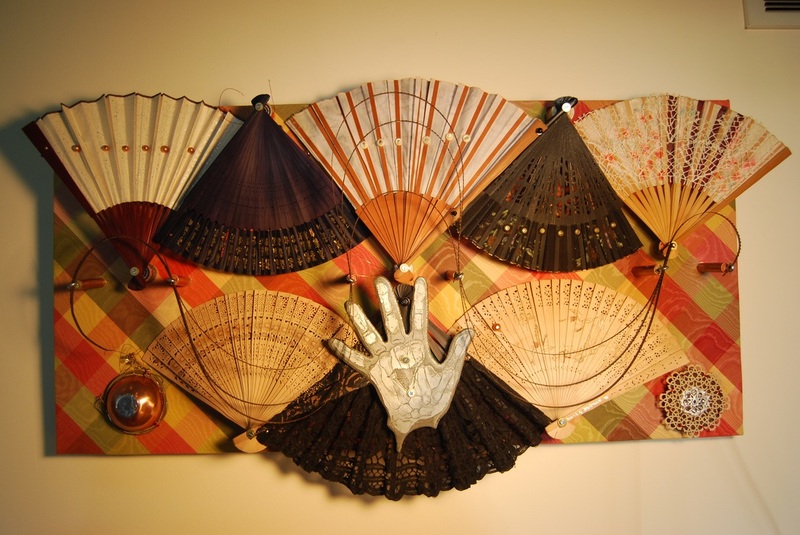 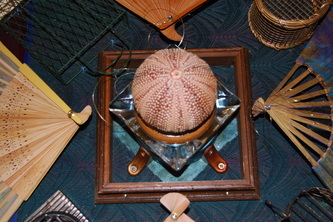 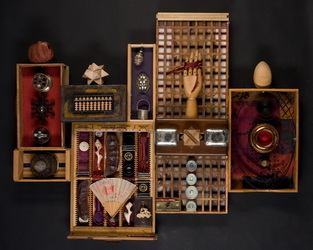 "Minuet", assemblage, 24 x 24 x 9 ", 2009.